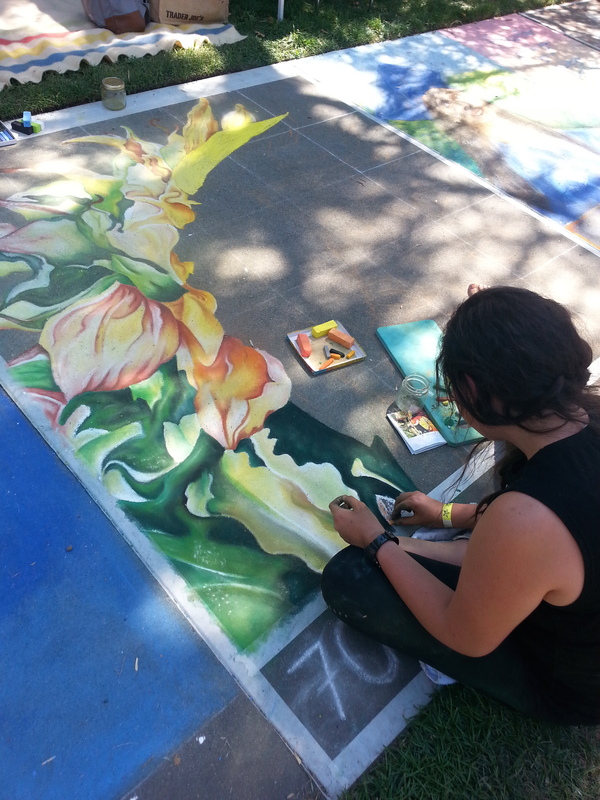 Fremont Park was bustling with onlookers this past Labor Day weekend walking in a counter clockwise square around the many artists creating their sidewalk chalk murals. 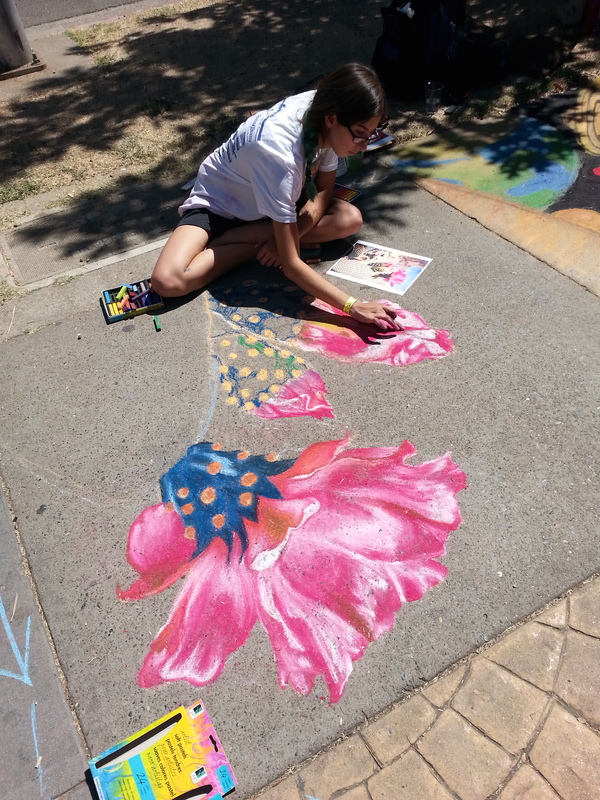 The annual Chalk It Up festival went for three days this year and marked this organization’s 25th year. Thousands of people came to see our local talent sponsored by local organizations to raise funds for youth art grants. Their goal this year is to provide twenty-five $500 grants to talented, young artists. The event itself was free, there was live music, a plethora of food trucks and food booths, and a beer garden for those 21 and up. I biked to the event and found a spot to lock up my bike fairly easily. 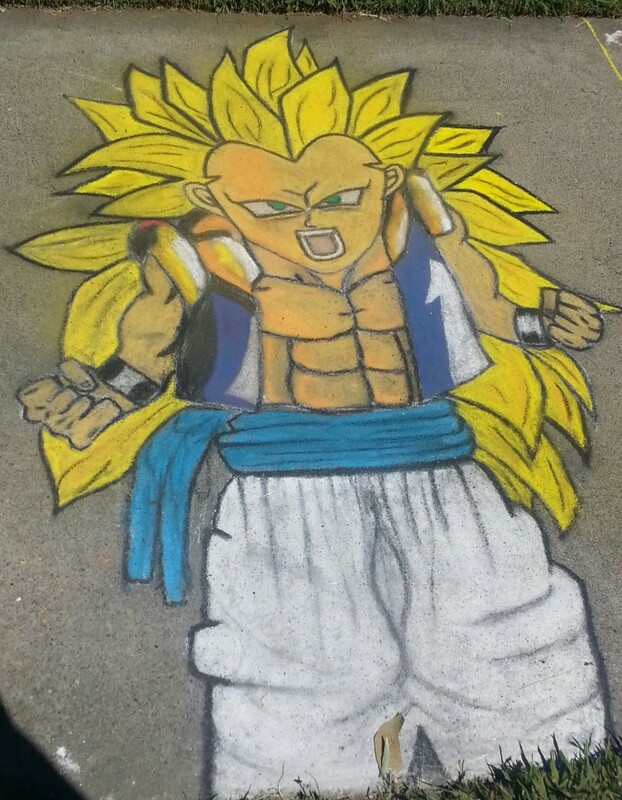 The art ranged in skill level and subject matter. Regardless, the crowd was very accepting and in high spirits with their criticism of the artists’ work. I was impressed at the positive remarks I continued to hear as I walked around the park. The event finished today, September 7th, and proceeds will go to the 501(c)(3). Fremont Park, between 15th and 16th Streets on Q Street.